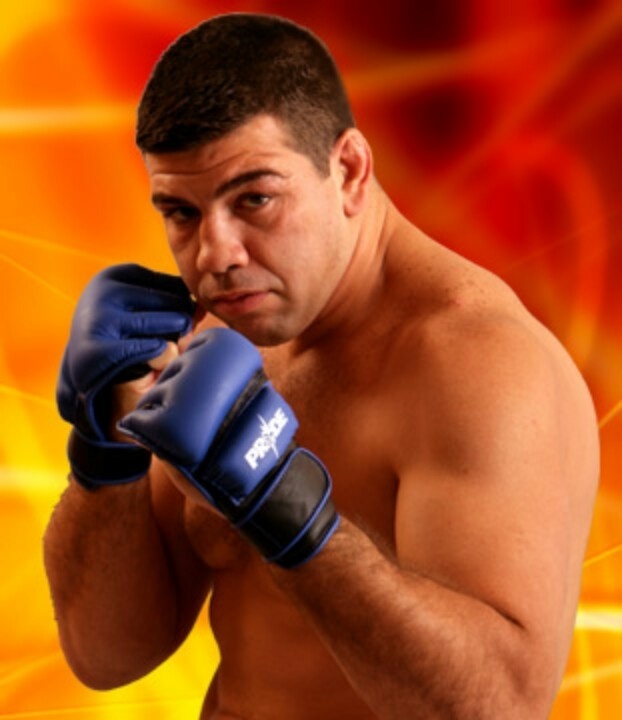 Pedro Rizzo: Where's my opponent? Kevin Randleman knocked himself out backstage, scuttling his main event title defense against Pedro Rizzo at UFC 24. The show was subtitled “First Defense” but it turned into “No Defense” due to Randleman’s slip, which landed him in the hospital with a concussion. The non-main event typified the UFC as the new millennium began: nothing was going right. UFC was still exiled from many PPV carriers, and the company’s invasion of Japan wasn’t bearing much fruit. The Randleman-Rizzo title fight was rescheduled for UFC 26. In the final two bouts of the night, middleweight Lance Gibson knocked out Jermaine Andre with a knee strike in Round 3, and heavyweight Tedd Williams beat Steve Judson by TKO at 3:23. Jens “Lil’ Evil” Pulver improved to 2-0 in the Octagon with TKO win over David Velasquez in Round 2. Future middleweight champion Dave Menne won a unanimous decision over Fabiano Iha. In a battle of lightweights, "Crazy" Bob Cook beat Tiki Ghosn with a rear-naked choke in Round 2. Shonie Carter made his UFC debut on the pre-show with a unanimous decision win over Brad Gumm. In another prelim bout, Scott "The King of Leglocks" Adams forced Ian Freeman to submit to an Achilles lock in 3:09. Dan “The Beast” Severn, a hero of the UFC’s early days, was the referee for the preliminary bouts.